The 5-Series I Double Sided Plush Full Two Sided Plush Mattress by Golden Mattress Company at Rooms Furniture in the Houston, Sugar Land, Katy, Missouri City, Texas area. Product availability may vary. Contact us for the most current availability on this product. 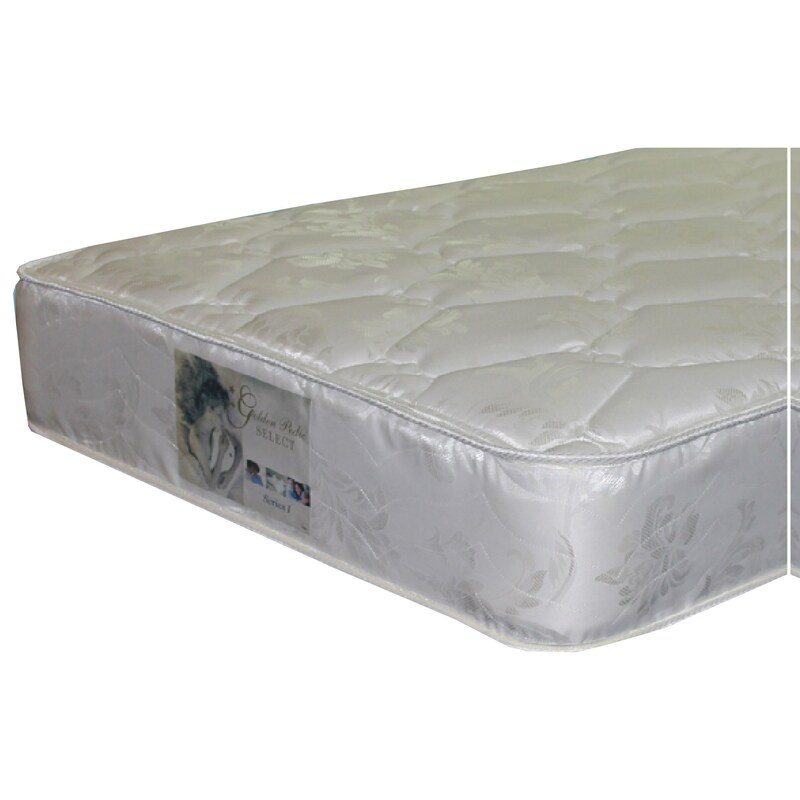 This promotional priced mattress gives you a quality Push, Two Sided Mattress at an affordable price. Built with a sturdy Ever-Flex Bonnell Coil Spring Unit, for good, solid support. A great low priced option for a Plush, Two Sided Mattress, for a low use or youth bedroom. The 5-Series I Double Sided Plush collection is a great option if you are looking for Mattresses in the Houston, Sugar Land, Katy, Missouri City, Texas area. Browse other items in the 5-Series I Double Sided Plush collection from Rooms Furniture in the Houston, Sugar Land, Katy, Missouri City, Texas area.